From Alabama to Wyoming, every state has design worth celebrating. In our complete Dwell guide to American-made design, we've gathered our favorite creators, destinations, and landmarks in every state of the union. Pick up our May 2015 issue, on newsstands on April 14, for many more reasons to celebrate the good old U.S.A. Tell us what we missed in the comments! Alabama. 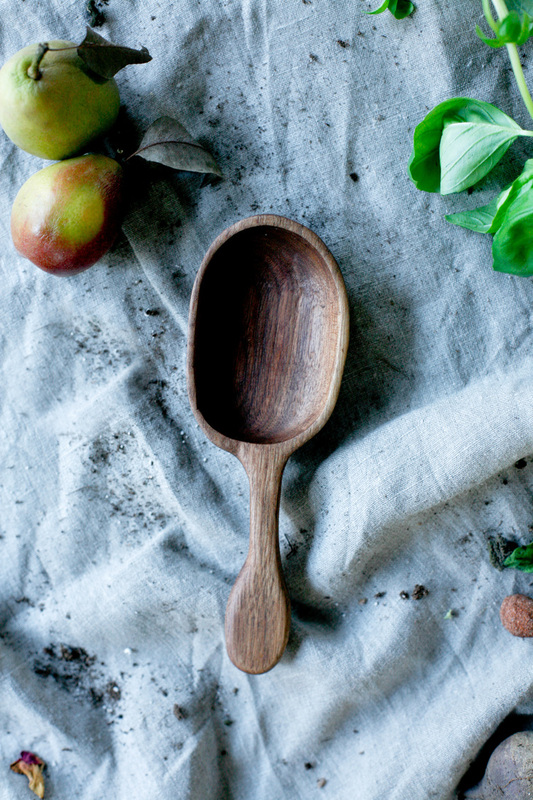 Handmade in Birmingham, Felix Glenn makes wooden kitchen tools, including charming sugar scoops, tasting spoons, and more. Alaska. This condominium building brings a modern energy to Anchorage. Each unit, designed by Mayer Sattler-Smith, is oriented to maximize natural light. Arizona. ModFire produces midcentury-inspired outdoor fireplaces at its studio in Phoenix. The steel designs can burn wood, propane, ethanol, or natural gas. The extra-large Urban Bonfire model is seven feet tall. Arkansas. Built in 1962 by Warren Segraves, the Fulbright Building in Fayetteville was the former home of the Fayetteville Public Library. Marlon Blackwell Architects renovated the structure in 2007, adding light to the upper level via new skylights and inserting staircases to better connect the levels. It now serves as a commerical office space. California. San Francisco designer Tina Frey makes modern, food-safe resin products for the home, from tabletop items to wall hooks and ice buckets. Colorado. David Larabee and Dexter Thornton are the forces behind DoubleButter, a furniture manufacturer based in Denver. Available in forming plywood or walnut with steel legs, the Sheep End Table is a playful storage piece. Connecticut. Benjamin Cherner reproduces the iconic designs of his father, Norman, for the Cherner Chair Company, based in Ridgefield, Connecticut. The furniture, like this lounge arm chair, sports organic shapes made in molded plywood with a natural walnut finish. Delaware. Celebrated local brewery Dogfish Head enlisted the help of Brooklyn-based firm Studio Tack to design their 16-room Dogfish Inn in Lewes. Along with a handful of beer-related accessories, such as custom bottle openers, each room features original art by local artist Steve Rogers, unique blankets by Woolrich, and a medley of modern furnishings. Florida. Husband-and-wife team Damm Design create sculptural lighting designs that beam with personality. Their Hombre pendants are composed of recovered lighting parts, refinished in an ombre fade by a local motorcycle painter. Georgia. ME Speak Design produce raw furniture and objects inspired by Japanese minimalism. Replacing rice paper with steel, wood, and brass, this table tamp from their Oleole Collection is a distinctly Southern take on Japanese design. Hawaii. In a city renowned for its midcentury architecture, Vladimir Ossipoff’s iconic IBM Building, with its graphic concrete sunshade cladding, stands out as Honolulu's premier design destination. Idaho. Boise's Neckar Coffee is an adorable pitstop for design enthusiasts to recharge over a cup of pour-over coffee. Founded in 2009, the craft café roasts its single-origin beans in a 2.5 kg drum roaster manufactured by Diedrich. Illinois. Chicago-based designer Steven Haulenbeek crafts furniture, lighting, and objects with a sculptor's touch. When hung as a pendant, his handmade Ramus lamps recall delicate iciles. Indiana. Michigan City-based company Jacob Bromwell has been manufacturing American classics from kitchenware to leather goods for over 150 years. The manufacturer's frontier aesthetic is epitomized by these handcrafted polished copper flasks. Iowa. The School of Art & Art History at the University of Iowa was designed by Steven Holl in 2006. Cantilevered over a pond, the structure nicely marries contemporary architecture and natural landscape. Kansas. Nicole and Robert Boles of Same Tree draw upon their backgrounds in fashion design and engineering to create appealing, multifunctional furniture such as the Angle, a Douglas fir coffee table that contains storage space and can be used as a bench. Kentucky. The Wild Turkey Bourbon Visitor Center is a modern update on a traditional barn archetype by De Leon & Primmer Architecture Workshop. Stained wood planks in a lattice pattern add texture to the facade. Louisiana. Based in New Orleans, Loomed NOLA produces hand-woven, organic Turkish textiles, from tea towels to blankets. Maine. Ariela Kuh of ANK Ceramics forges lovely, long-lasting ceramic wares that beg to be admired. Each of her unique pieces are microwave- and dishwasher-safe. Maryland. Goodwood Design's Garrett Brooks crafts simple, wooden furniture from his studio in Baltimore. The Two Edge dining table combines Douglas fir and Douglas fir plywood. Massachusetts. Among the most recognized products in kitchenware, the hourglass-shaped Chemex coffeemaker is produced by a family-owned company in Western Massachusetts. Invented in 1941, the elegant borosilicate glass is on permanent display at the Museum of Modern Art in New York. Michigan. On the forefront of Detroit's artisan renaissance, Smith Shop's skilled metalworkers have produced everything from tables to belt buckles. Their signature servingware set's hand-forged utensils combine raw materials with modern ergonomics. Minnesota. Ceramicist Ben Fiess crafts colorful artworks, along with these porcelain containers that can be used for storage or as a tabletop decoration. Mississippi. The Apothecary at Brent's Drugs is a modern cocktail bar in Jackson, situated in the back of a historic drug store (now diner) from 1946. Old-school touches include a card cabinet system above the bar. Missouri. Score vintage midcentury finds, ranging from Arco floor lamps to Florence Knoll-designed tables, at Century Design Ltd., a shop in St. Louis. Montana. Local architecture firm Intrinsik created a series of rustic modern pavilions for Valley Park West in Bozeman. One such winged structure functions as footbridge over a narrow stream. Nebraska. Emily Reinhardt, the designer behind blog and shop the Object Enthusiast, shapes ceramic heirlooms for modern traditionalists. Vessel 4 in her geometric Faceted collection glistens with gold lustre accents. Nevada. The Las Vegas Jaleo, a tapas restaurant inspired by Spanish surrealism, features an intimate dining area for eight. The custom bookshelf wall coverings are by MDC. New Hampshire. Inspired by architectural and natural forms, craftsmen David Leach tinkers with classic designs in his Kittery studio. New Jersey. The base of Josh Urso's Knoop (Dutch for "Knot") coffee table is comprised of 1,200 feet of resin-impregnated military-grade rope. The thicket is arranged into a perfect cube and topped by glass, achieving order amid chaos. New Mexico. The Lockback knife's southwestern origins are apparent from its Arizona Ironwood handle and turquoise accents. The multifunctional steel blade is made by the family-owned company Santa Fe Stoneworks. New York. Brooklyn may be at the epicenter of America's artisan revival, but New York is populated with plucky makers from Long Island Sound to Niagra Falls. The sumptuously simple Globe arc pendant by Glen Cove-based lighting studio Allied Maker can attest to that. North Carolina. Ceramicist Akira Satake hand-crafts bowls and vessels from his studio in Asheville using traditional Japanese techniques. No two objects look the same. North Dakota. Located in Fargo, Midmodmadhaus sells an assortment of vintage Danish furniture, bikes, and pendant lights. Ohio. Cincinnati designer Andrew Neyer produces practical furniture and accessories, like this wall lamp with an adjustable arm. His more playful side can be seen in objects such as a wall clock made to resemble a watch. Oklahoma. The Price Tower in Bartlesville is Frank Lloyd Wright's only realized skyscraper. Its distinctive facade features patinated copper cladding and sun louvers. Oregon. Based in Portland, Pigeon Toe Ceramics founder Lisa Jones creates sleek porcelain tabletop items, kitchen accessories, lights, and more. While the majority of the pieces are white, pops of color are scattered throughout. Pennsylvania. This hand-painted dishware from Pittsburgh's Redraven Studio is inspired by National Parks. The studio also produces porcelain wedding accessories and jewelry. Rhode Island. In Providence, the Dean Hotel, conceived by Ari Heckman and his design firm ASH NYC, is a century-old structure turned into a boutique hotel. It features a warm, modern style that blends hand-picked European antiques with locally crafted wares. South Carolina. Charleston-based company Jack Rudy Cocktail Co. makes classic cocktail ingredients, such as small-batch tonic and bourbon cherries. The bar accessories, such as the Copper Collins Cup made in collaboration with Florida's MAKR, are timeless with a decidedly modern bent. South Dakota. The Muenster University Center at the University of South Dakota by Charles Rose Architects features large stretches of glass that open the structure up to the rest of the campus. Tennessee. Lodge Cast Iron has been manufacturing its classic, durable cooking tools in South Pittsburg, Tennessee since 1896. Texas. The Cricket Trailer, made in Houston, can sleep up to two adults and two children. With integrated fresh water and greywater tanks along with a water heater, campers can live off-the-grid in the easily towable unit. Utah. Ogden-based leather goods company Stock and Barrel Co. produce bags, belts, and cases that balance sophistication and rusticity. Vermont. In 1981, Irish-American glassblower Simon Pearce relocated his workshop to a picturesque mill in Vermont. Harnessing the power of the Ottauquechee River, his shop turns out understated glassware while also operating a café on the premises. Virginia. Furniture-maker Todd Leback avoids stains and paints, preferring instead to let high-quality materials speak for themselves. Here, however, the grain of a custom cabinet is complemented by restrained use of black and red. Washington. Celebrated Seattle design duo Iacoli & McAllister delight in utilizing rich materials, such as copper and brass. When assembled in a cluster, the metal plating on their Frame pendants create a dazzling light show. West Virginia. The Boy Scouts of America built a sustainable tree house on a former coal mine using a locally made prefabricated steel megastructure. Wisconsin. Misewell's approach to modern furniture-making prioritizes ease of assembly. Each leg of the walnut Conrad coffee table snaps effortlessly into a steel bracket, which is available in a range of colors. Wyoming. Sheridan Tent and Awning have been making utility-driven outdoor equipment from canvas wall tents to duffle bags since 1909, almost as long as Wyoming's been a state.